Play was a masterpiece and this was one of the upbeat tracks from the record that I played over and over. It was nostalgic and new at the same time, leaving me interested in the sort of soul-spiritual half and dance music half of the song. A majority of memorable moments on the album had that dichotomy about them, bridging gaps of semi-obscure sampling to bring the old to a new audience. Somehow Moby did a wonderful job orchestrating all of that. When I had the album on in my room once, I remember my mom going, “What are you listening to?” I didn’t really know how to answer. “It sounds old,” she continued. 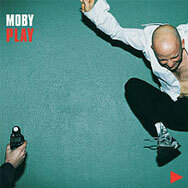 Moby did open my ears to more possibilities in music, showing that (unlike Bad Boy/Puff Daddy) you don’t always have to sample staples– you can sample good music that just didn’t get the attention it deserved (or reignite what attention it did get).